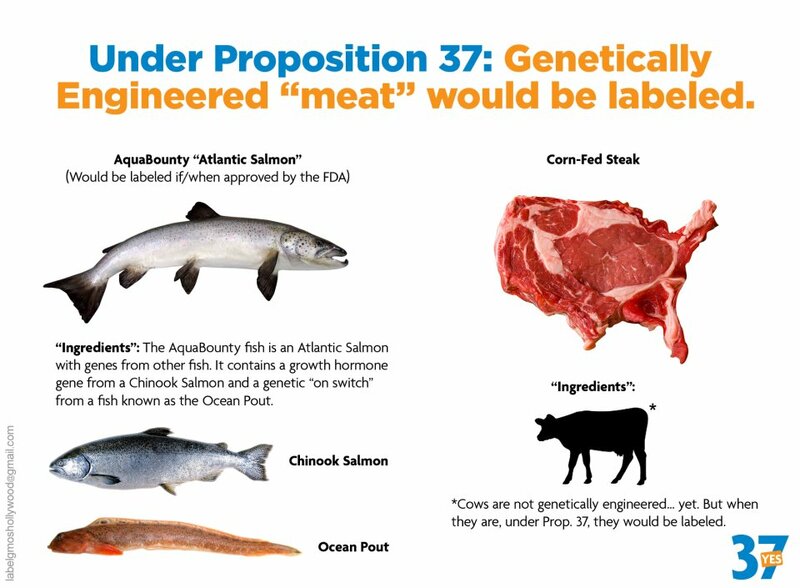 WHY DO WE STILL NOT HAVE GMO LABELING? Make your home safe. Training video and resources on how to start! 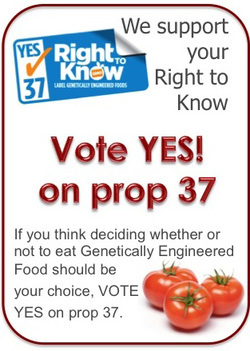 Your Vote Has the Power To Tell Big Corporate, "You have to tell me what you are putting in the food my family eats. Would you want to go eye to eye against this guy? 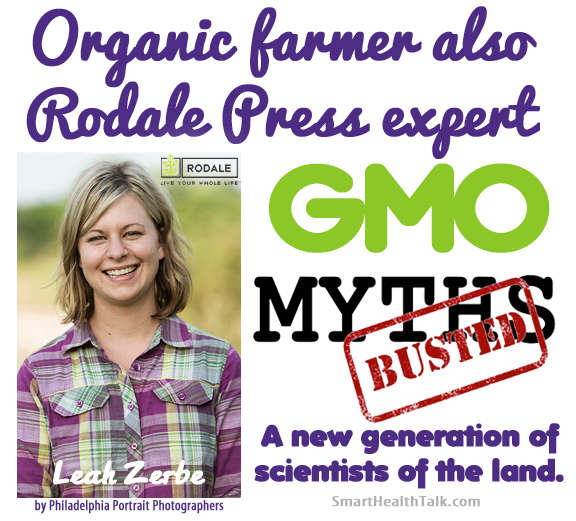 Find out how a brave mom took him on at a Monsanto shareholders meeting. Every dollar that you earn have value and meaning because it took your time and hard work to earn it. 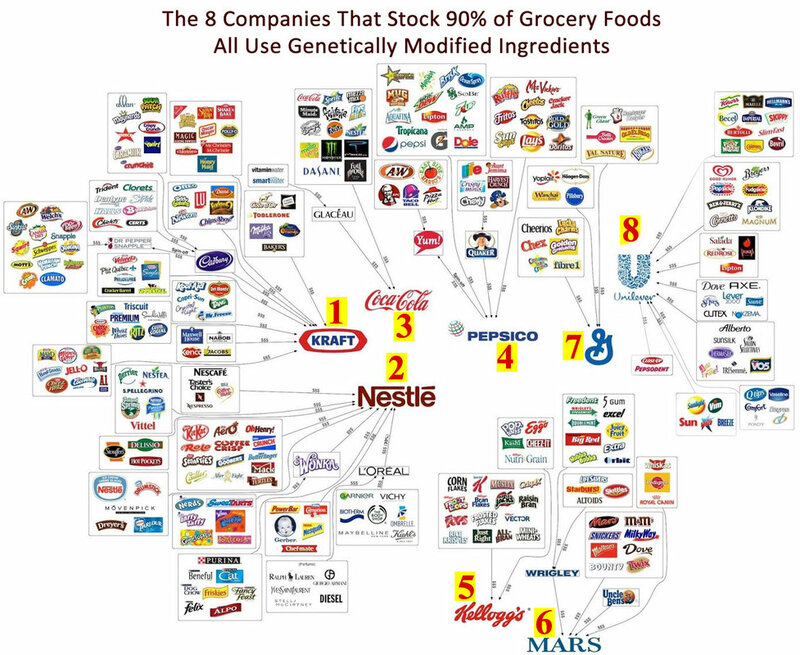 These food companies want your dollars spent on their products so they can get more powerful and control more and more of what we eat. 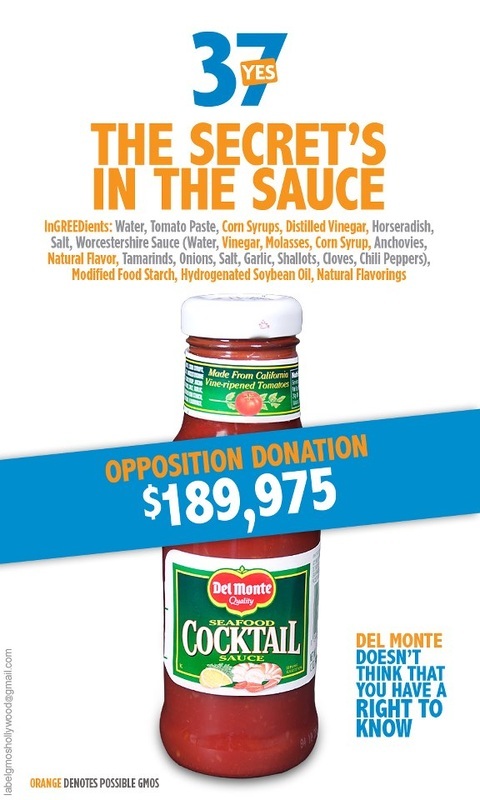 They paid millions of dollars for ads to stop GMO labeling, and even broke Federal laws in the process. They were convicted, but their goal was accomplished and they know the math still adds up to mega profits for them despite the slap on the hand. 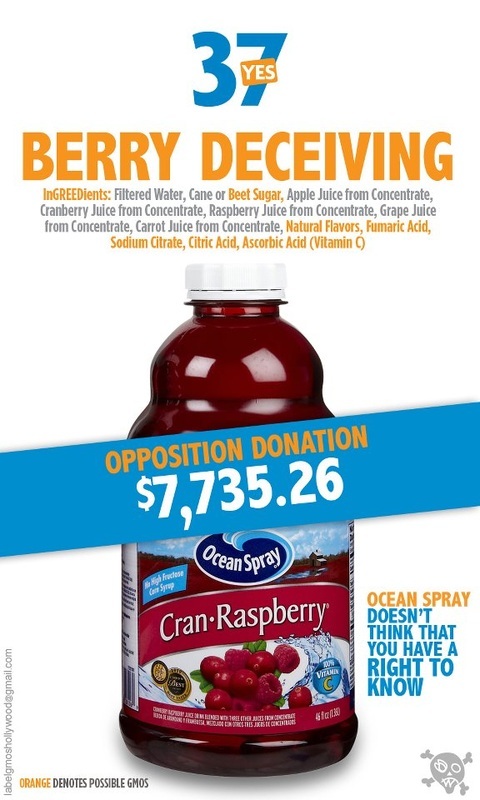 It is not hard to avoid their product when you focus are real foods and organic companies not owned by them (yes they buy them because can't start themselves as people know its a lie, and want to dilute or make that organic company go away. In our "News" and "Resources" Section as well as Instagram and social media we have helped give you some of our top recommendations. Find the article here. 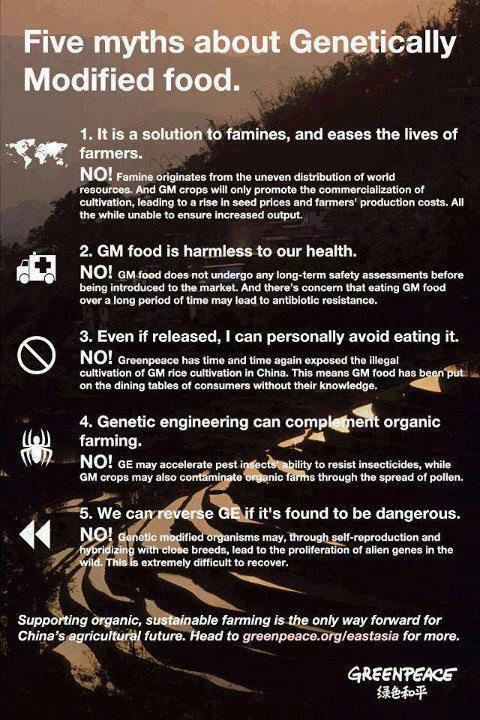 Some quotes from the article of conversations between the GMO conventional food manufacturers and the GMA. The Washington campaign finance situation differs significantly from that in California during the "No on Prop 37" campaign. 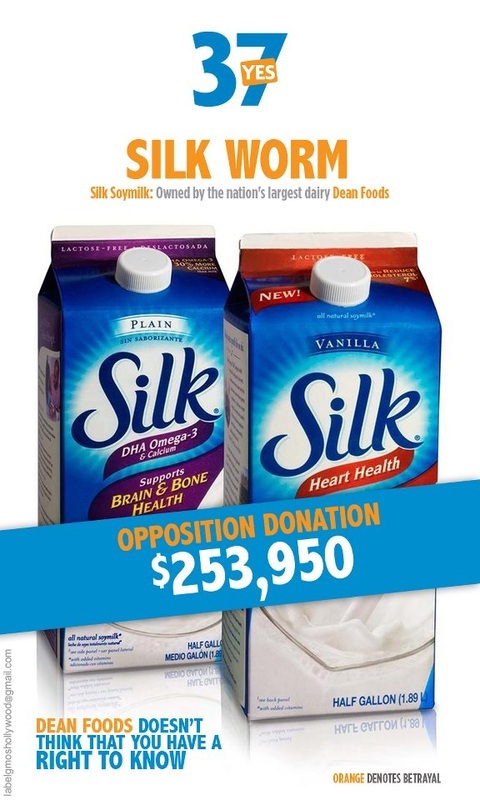 Virtually all of the financial 22 support for "No on I-522 " will come from GMA, not individual companies, and under Washington State law, the campaign will not have to report GAM s 23 members on campaign finance reports or in any campaign advertising. Regarding possible questions on GMA member companies' "position on 2 the ballot initiative" or their "financial support," GMA suggested the following response: 3 Q: Is your company providing funding to the "No on I-522" campaign in Washington State? 4 A: No. Company X is a member of the Grocery Manufacturers Association and supports the work the association does on product safety, health and 5 wellbeing, sustainability and a host of other issues. 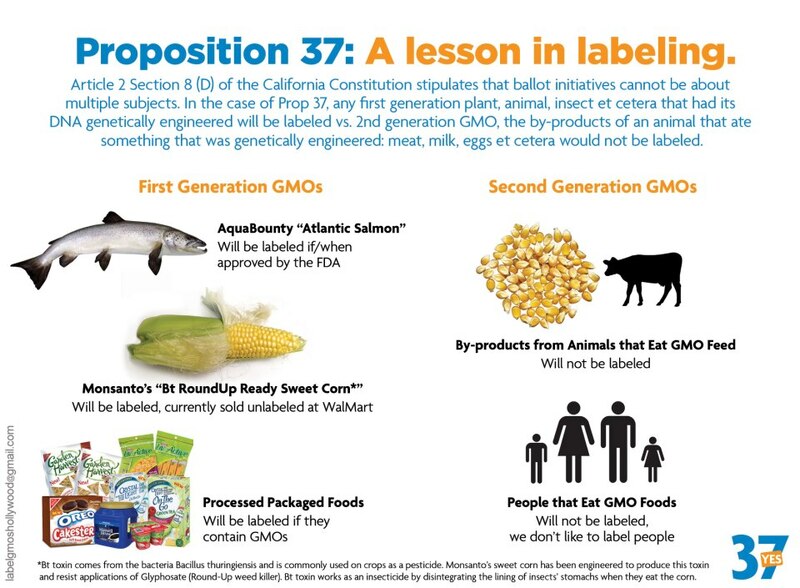 We support GMA, its position on genetically modified ingredients and the association's opposition to 6 I-522 in Washington State. 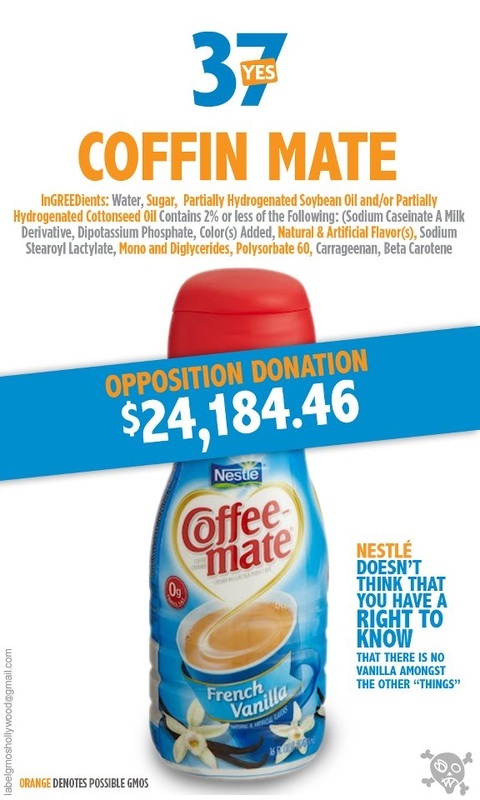 GMA's views and financial support for the "No on I-522" campaign reflect the views of most food and beverage manufacturers in 7 the United States. Concealing political contributions and expenditures in 23 Washington is strictly prohibited. RCW 42.17A.435 provides: 24 No contributions shall be made and no expenditure shall be incurred, directly or indirectly, ... by one person through an agent, relative or other person in such a 25 manner as to conceal the identity of the source of the contribution or in any other manner so as to effect concealment. Next Monsanto will genetically modify our apples. GMO apples that don't brown isn't important to ordinary people so the reason has to be to control our food, and increase profit for Monsanto/large food producers. If this causes harm to people is of no concern. Ask yourself these four questions. 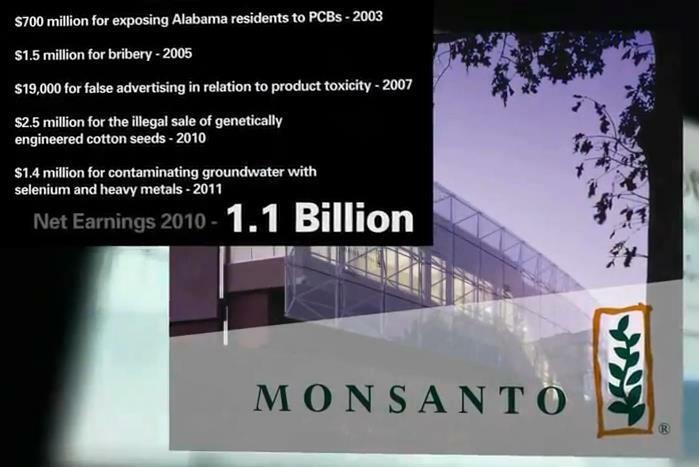 Monsanto keeps getting bigger and bigger and bigger because we allow it. 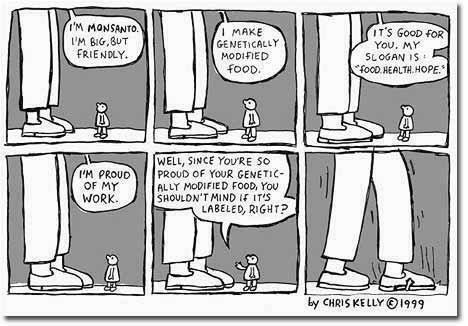 Unless you say no more GMOs with your dollars and your voice to lawmakers, they will continue to get bigger, and bigger, and bigger until they control every seed and every food we eat. Think about it. Her child almost died twice from nut allergy. Find out how she stopped it and inspired people all across the country! Watch this movie and find out why these parents are so angry about unmarked food products that almost killed their children. Click to go to the movie. 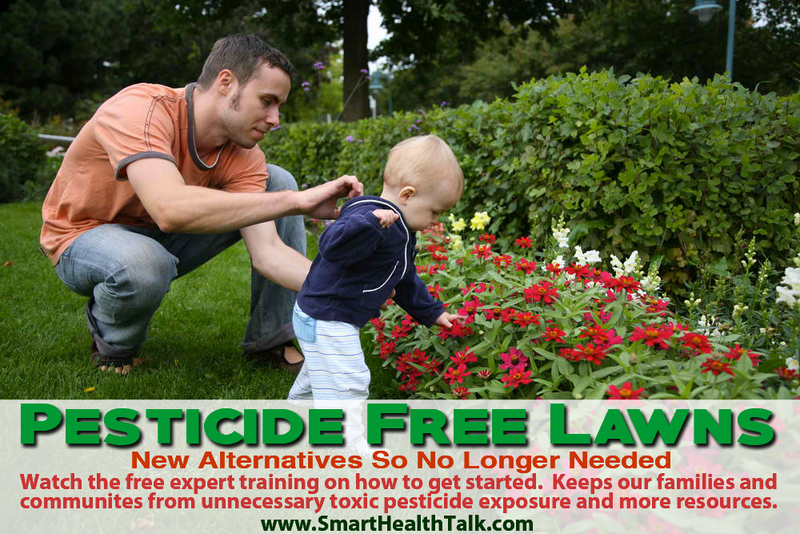 Find out what he has to say about how pesticides increase infertility and birth defects, and decrease IQ in our children and the huge personal and economic impact. Click to go to "Big 6" article. Finally a long-term two year study on GMO corn and pesticide Round Up Ready. Monsanto studies to determine safety conducted in their laboratories were three month studies. Conclusions of this French study were disturbing in that it's a wake up call on how the government has allowed an unsafe food that was never tested on humans into our food supply. Increases in many diseases including infertility and allergies could prove directly related to GMOs. 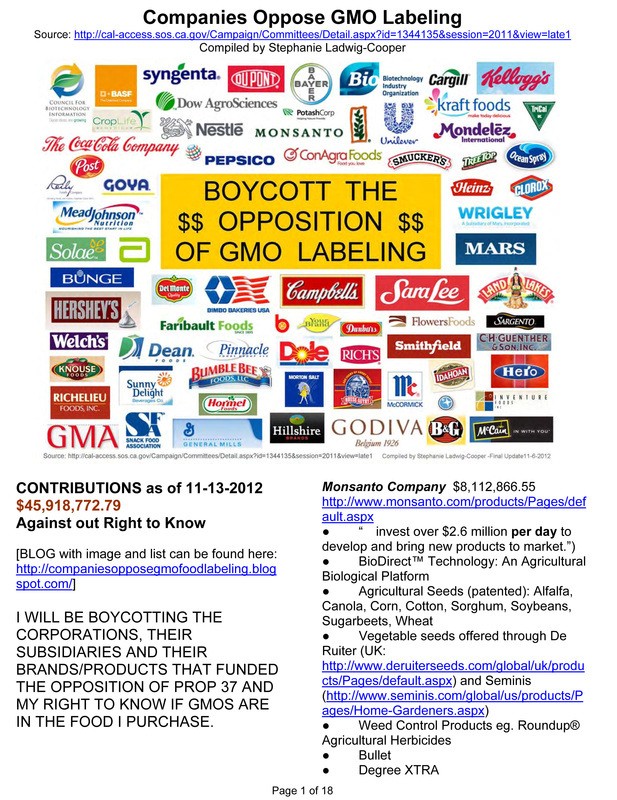 Click graphic below to find out for yourself what has been secretly going on with our food. 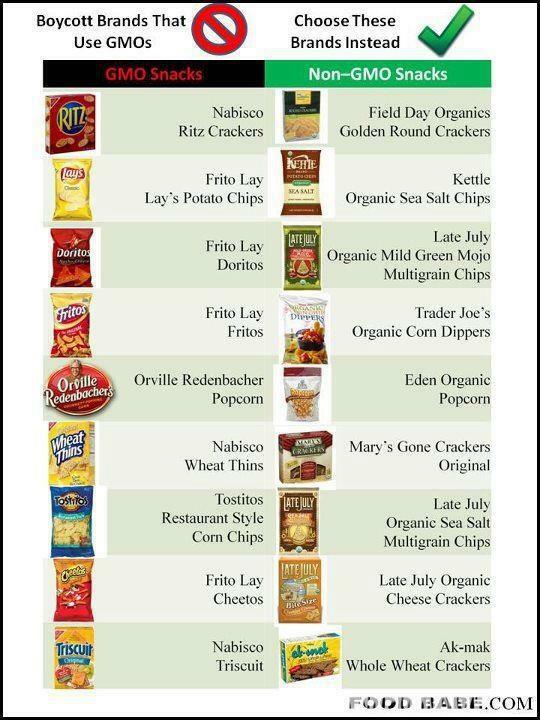 Has been going on without notification or approval of the people, yet we are eating these foods. Our bodies do not recognize GMOs as food, launch an attack, and then set up shop in our intestines and start producing Bt pesticide in our gut cells. Don't trust us, find out for yourselves and do the research. Click to go to Food & Water Watch. 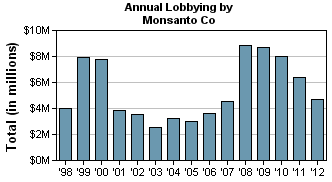 Monsanto pays millions per year to lobby key government officials. Click for larger graphic. Opensecrets.org. 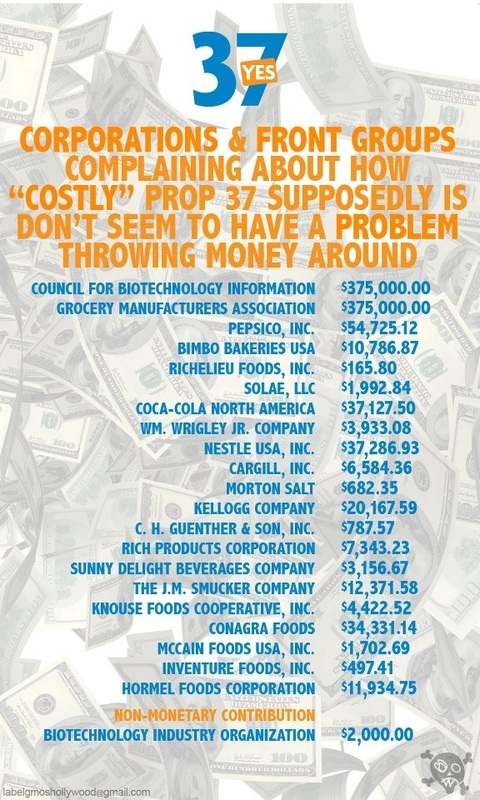 COMPANIES THAT ARE PAYING MILLIONS TO KEEP YOU FROM KNOWING WHAT'S IN YOUR FOOD. WANT MORE PROOF? KEEP READING BELOW. 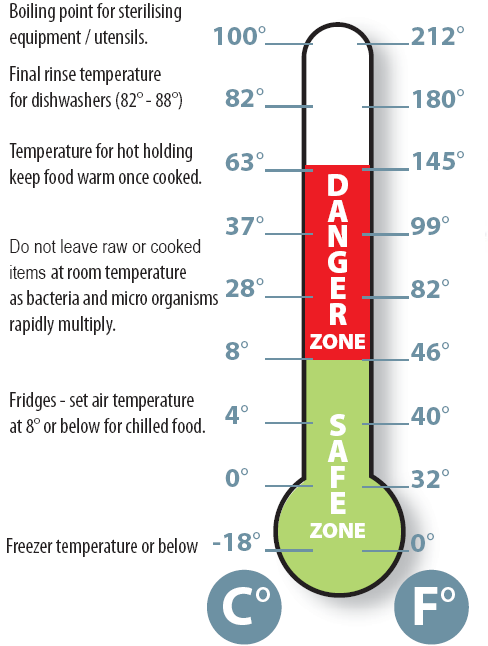 Click here to go to this article or click graphic for larger version of graphic. According to online news Stltoday.com bribery and corruption allegations involving Turkish officials and Monsanto were settled today with a US$300,000 payment. Furthermore the US Government will once again monitor Monsanto's dealings. The Government ordered monitoring of Monsanto's external dealings after a previous conviction for bribery in 2005. This follows closely in the wake of the announcement by the industry front Biotechnology Industry Organisation (BIO), on Wednesday,of their latest clean up plans to introduce third-party auditing "to help agricultural players around the world feel confident that biotech crops are subject to stringent safety standards." According to Carey Gillam, REUTERS, Kansas City, Missouri, agro-chemical giants Monsanto and DuPont endorsed this plan. Forbes Insider Trading reported on 17 July that Monsanto's top executives had begun selling off their Monsanto shares. This was followed on 24 July 2007 by an announcement that 4 key Monsanto patents asserted against farmers were rejected by the Patent Office. The new PR policy is in reality directly aimed at assuring ordinary shareholders that "We will walk out of this as clean as a whistle." In 2005, Monsanto bribed Indonesian officials to disregard safety regulations and was caught smuggling South African grown GM Bollgard cotton seed into Indonesia. The GM seed was disguised in crates labled "Rice". Monsanto was fined US$1 million for a US$50,000 bribe to a top Indonesian official after the CEO of Monsanto ordered it to be disguised as a "consultancy fee". At the time South Africa was a signatory to the Cartagena Protocol which requires exports of GM seed to be properly labled. 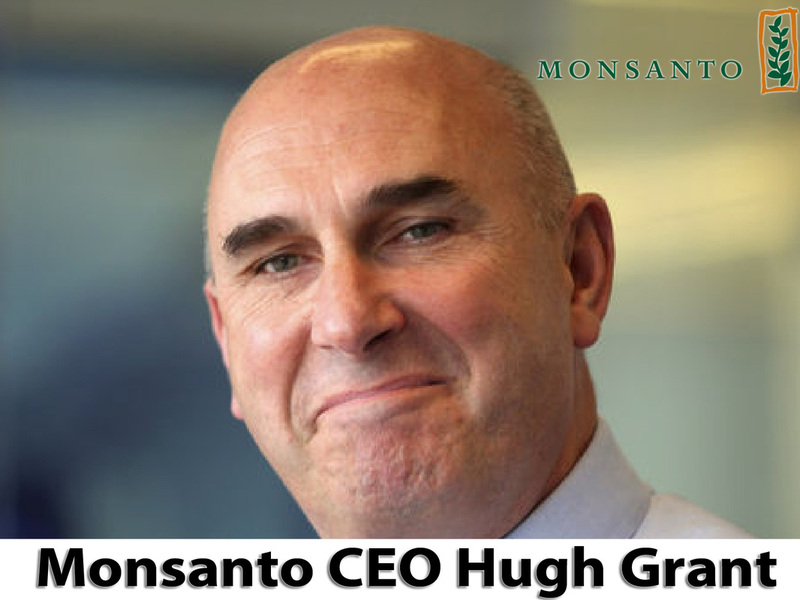 Heading this operation was Monsanto's Asia and Pacific CEO, Hugh Grant. At the same time was member of a British Government sponsored advisory committee. The International Advisory Board, was set up by Scottish Enterprise to advise businesses on how to expand overseas. In the same year, 2005, Monsanto joined the South African Department of Agriculture in opposing a High Court application by Biowatch for information on safety aspects of GM crops. Monsanto claimed that they were protecting "confidential business information". The Court ruled that access to this information was in the public interest and was a necessary part of the proper administration of the GMO Act. In Europe Monsanto, supported by European Food Safety Authority (EFSA), kept the study from public scrutiny once again under a false claim of confidential business information until a German Court Order forced Monsanto to release the full report. The EFSA has more recently been criticised by the medical and veterinary professions for downplaying the role of Monsanto's patented anti-biotic resistant marker gene npt11. This antibiotic is water soluble and is therefore used extensively in aquaculture,quail, pigeon, rabbit, chick, piglet and calve rearing industries. Monsanto have been using this gene in a number of products including the highly controversial GM potato. Anti-biotic marker genes were supposed to be phased out in terms of European Union Directive 2001/18EC and Revising Directive 90/220/CEE. The controversy about the GM Potato started in Egypt when researchers (Toxins Volume 6, Issue 6, 1998. 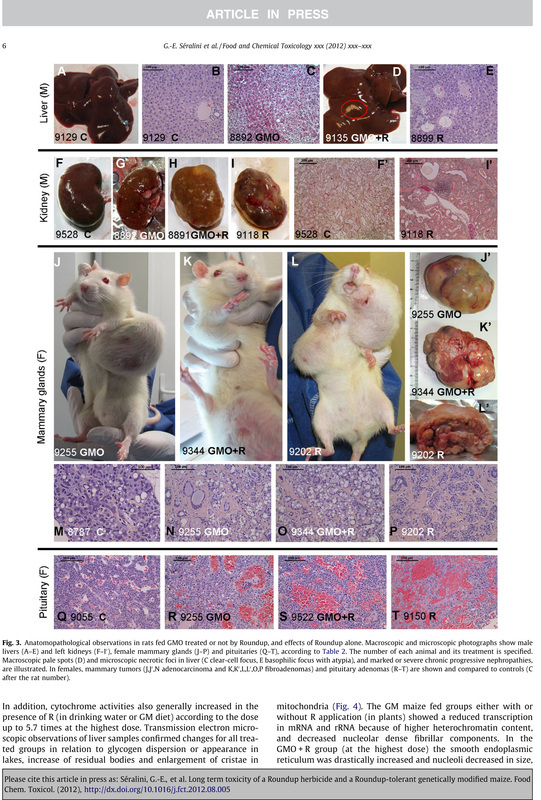 Pages: 219-233) found that GM potatoes caused cancerous damage to part of the small intestine in rats. More recently Monsanto was ordered to remove false claims on the safety testing of GM foods in South Africa. In this cvase Monsanto claimed to conduct it's business according to a strict Code of Ethics. It can be deduced from their actions that they conduct their business according to the philosophy that Crime Pays. Bribes, corruption and relatively insignificant fines are small change for Monsanto compared to the huge prize of monopoly position in countries with large agricultural sectors. And once GM crops are planted in a country, any contamination of non-GM crops means Monsanto can also claim royalties from these farmers. Misuse of a United States government seal can lead to a $250,000 fine, twenty years in prison, and three years of supervised release — unless you’re a campaign organization funded by major corporations like Monsanto. 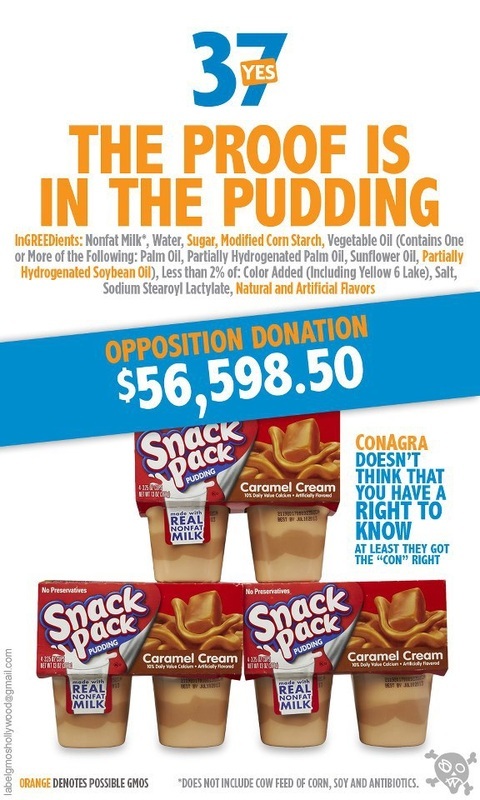 In a move completely ignored by the mainstream media (many of which have financial ties to such corporations), the anti-GMO labeling No on 37 Committee paid for and disseminated a physicalpiece of direct mail that not only entirely misused the FDA logo but even sported a fabricated quote. A quote that even the FDA has stated on record that was never stated. That is because it would actually be illegal to do so. 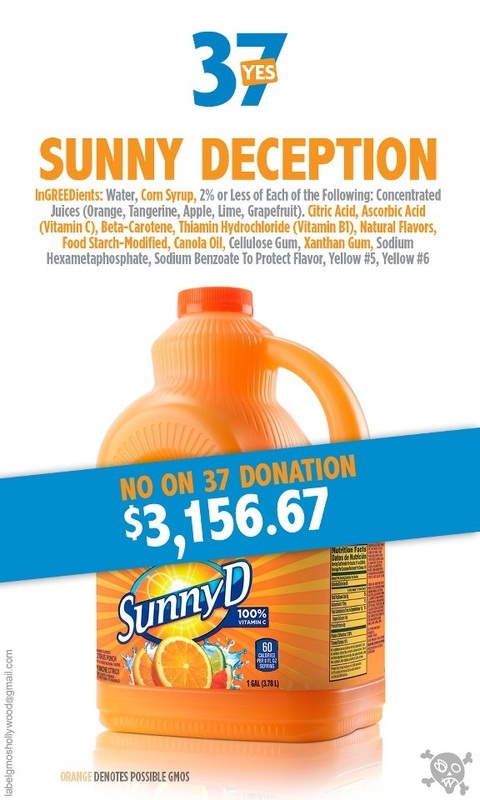 You see federal agencies cannot take a stance on Proposition 37, which means that the Monsanto-funded No on 37 campaign literally created the quote and FDA support out of thin air. In other words, the organization leaders blatantly violated 8 U.S.C. 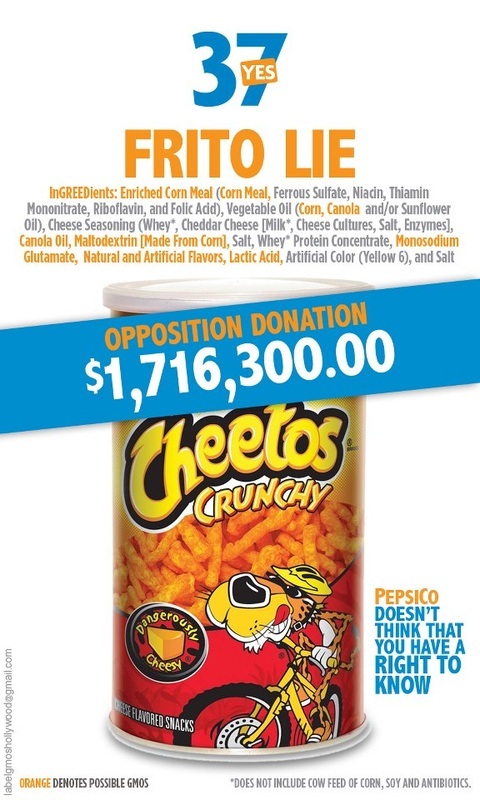 §§ 506 and 1017 by misusing the FDA seal and writing a quote out of thin air to support their political campaign to keep Monsanto rolling in the billions. 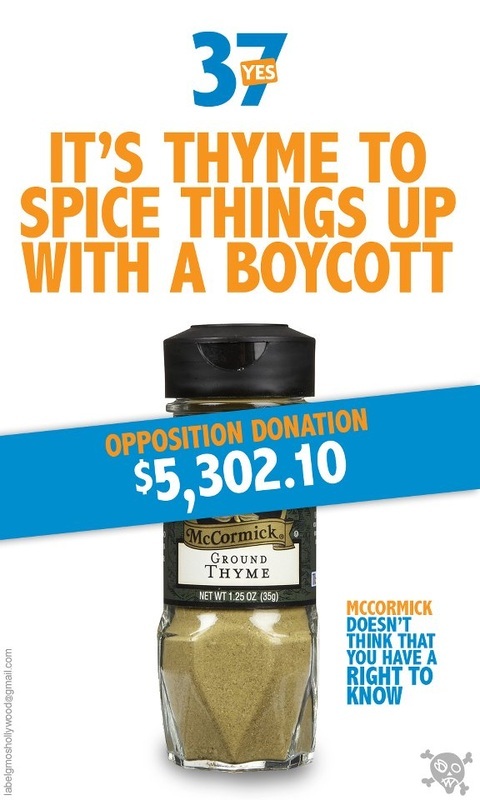 So are the creators of this deceptive campaign piece going to jail or facing major fines for breaking the law? You would think so, especially given that the offense is actually a felony. As it turns out, however, No on 37 may actually get away without any real penalty. And even if they are on the receiving end of any repercussions, it will certainly be after the voting takes place on Prop 37 (November 6th). Ultimately, this means that Monsanto and No on Prop 37 will completely get away with their impersonation of a federal government agency without a scratch. And most of the voters won’t know a thing. 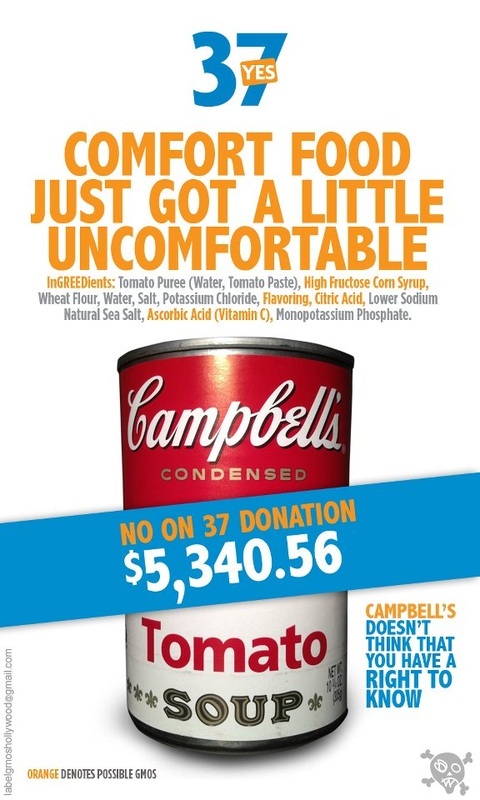 Don't buy into the multi million dollar ad campaigns that try to tell you that you should not care what is in your food. 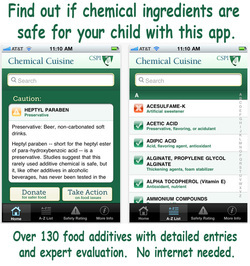 We all care if what is in our food is safe. Once again, major corporations are exempt from the laws that heavily apply to the average citizen. One Idaho woman found out in 2011 that misuse of government seals really can land you in jail when you don’t have billions of dollars. Found to be illegally using a phony government seal (sound familiar? ), one Caldwell, Idaho woman now faces up to 20 years in prison, a $250,000 fine, and three years of supervised release — the sentence that applies to the average citizen. Perhaps this is related to the fact that Monsanto owns most if not all United States diplomats. Or perhaps it has to do with the fact that the United States government is so in bed with Monsanto that it has threatened ‘military-style’ trade wars who do not accept Monsanto’s GMOs (see previous link). But you won’t see this in the mainstream media, or even some ‘alternative’ media outlets that receives millions in funding from the same corporations that fight against GMO labeling. And that is why No on 37 is currently climbing in the polls. With pure deception, lies, and confusion, No on 37 is getting away with the very same actions that land the average citizen in jail. For years, there’s been an open revolving door in Washington – sending workers from the Federal government to Monsanto and Monsanto back to the Federal government. This has a tendency to make people question the fairness and objectivity of the folks who are supposed to be overseeing the giant agricultural corporation. Bovine growth hormone (rGBH)When Monsanto got approval for use of its artificial bovine growth hormone in milk, the person in charge of preparing the report at Monsanto was Margaret Miller. 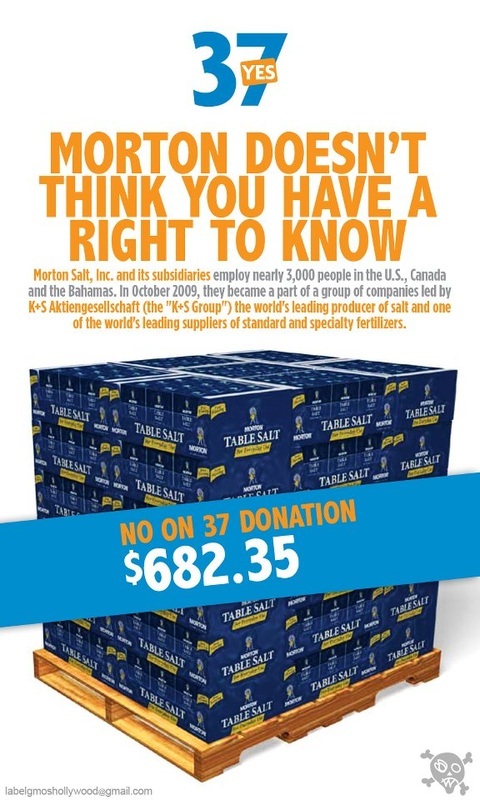 Later, the person in charge of receiving the report and evaluating it was… Margaret Miller, by then Deputy Director of Human Safety and Consultative Services in the office overseeing the process..
Michael R Taylor, started off as a partner at the law firm that represented Monsanto on GBH issues. 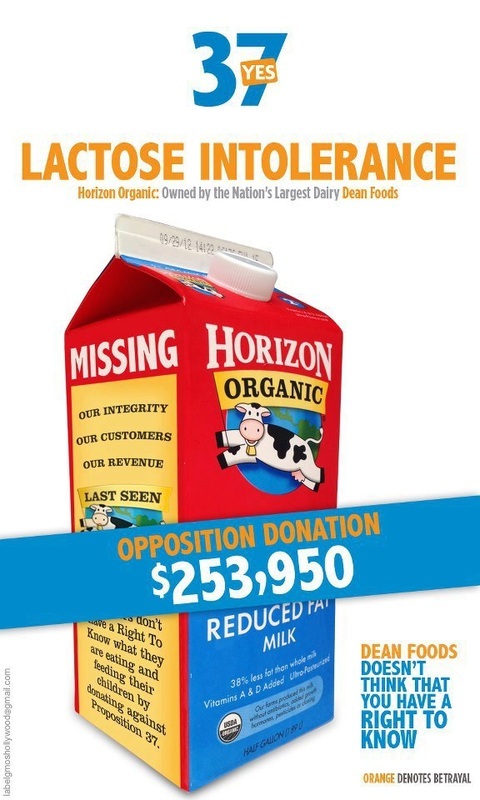 Then, as the FDA’s deputy commissioner for policy, he wrote the FDA’s rBGH labelling guidelines – the ones that insisted there was no difference between rGBH and regular milk. He also deleted references to problems with GMO foods, over the objection of staff scientists. Then he spent a few years working directly for Monsanto. And now? Barak Obama brought him back to the FDA to oversee Monsanto again, as his food safety issues czar! Opening up foreign markets to GMOsAs long as Europe and other countries reject Genetically Modified (GMO) food, Monsanto has limited markets. Big Ag wanted someone who would push their issues as trade negotiator, and President Obama nominatedIslam “Isi” Siddiqui, the vice president for science and regulatory affairs at at CropLife America, the U.S. agricultural/chemical industry trade group. 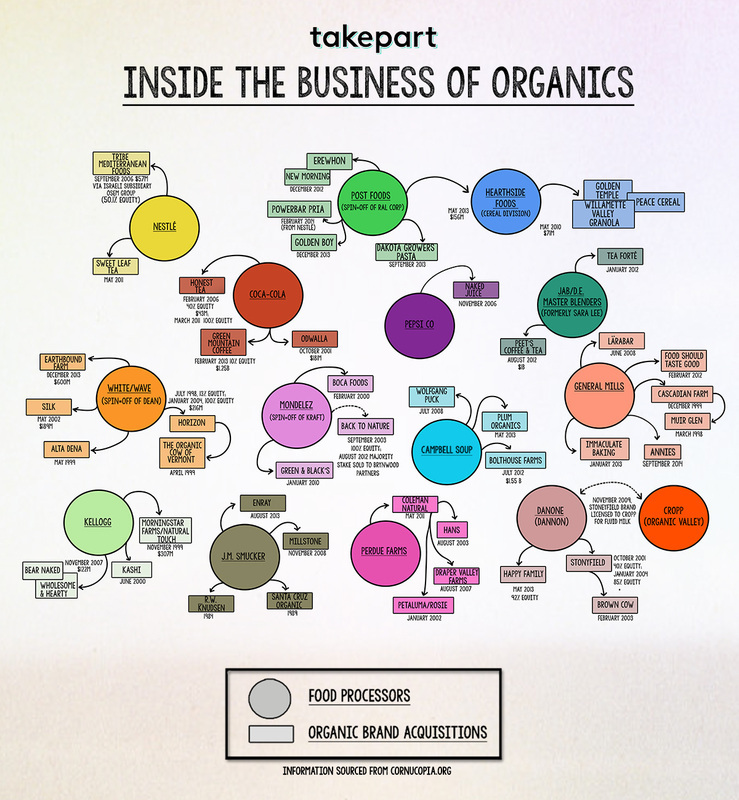 Its members include Dow AgroSciences LLC, DuPont Crop Protection, and of course, Monsanto. Before that he was a senior trade advisor to Bill Clinton’s USDA. GMO alfalfaAs a young lawyer, Supreme Court Justice Clarence Thomas worked for Monsanto. When the Supreme Court ruled recently on Monsanto’s GMO alfalfa, Thomas was one of the votes in favor of his old boss. He didn’t even consider recusing himself – although to be fair, the obvious conflict of interest probably wouldn’t have changed his vote, since Thomas would have voted the same way in favor of ANY large corporation. GMO cornHow to get your GMO corn approved? First, Monsanto hired Linda J Fisher, who had served for 10 years as Assistant Administrator of the EPA’s Office of Pollution Prevention, Pesticides, and Toxic Substances. Good person to have on your team – as your Vice President of Government and Public Affairs, heading up Monsanto’s Washington lobbying operation. And then – send her back into government, as the second in command at George W. Bush’s EPA. Roger Beachy, former director of the Monsanto-funded Danforth Plant Science Center, is now Obama’s director of the USDA National Institute of Food and Agriculture – responsible for a $500 million research budget. 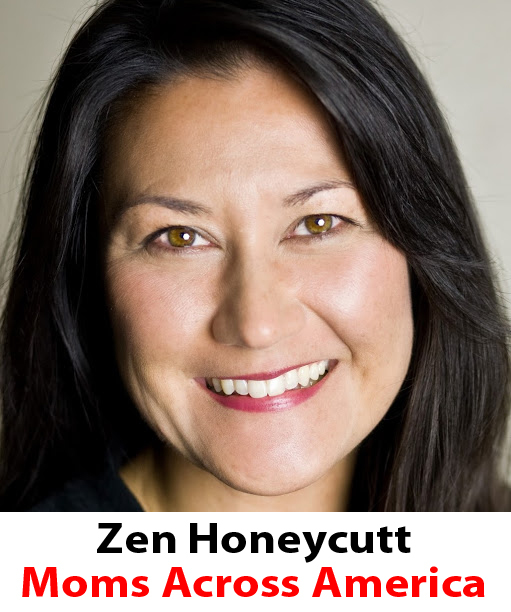 Ramona Romero, corporate counsel to Monsanto’s chief GMO rival Dupont, is Obama’s general counsel for the USDA. How does Monsanto, a company that admits it wants to control the world’s food supply through its patented genetically engineered seeds, get away without having to label their products? Money –follow the money! Monsanto lives at the doorstep of legislators in Washington where it spent a mere $6.3 million just last year buying support. In the first three months of 2012, they already spent $1.4 million. With an annual revenue of $11.8 billion (2011), they can afford to put as many of our representatives (?) in their pockets as are willing to sell us out. But the lobbying doesn’t end with legislators. 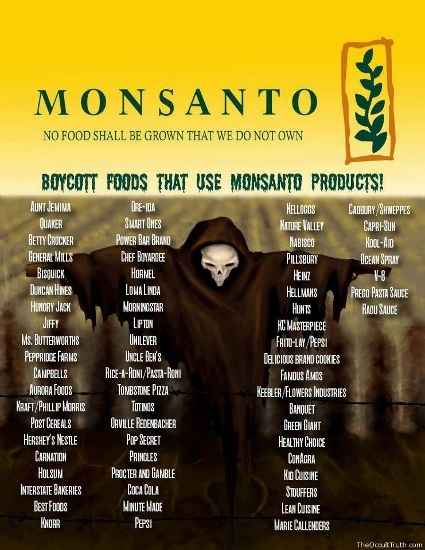 They have also purchased the Department of Agriculture, the FDA, and the EPA; all of which have a say in whether or not you get to know whether the food you’re eating can kill you! Representative Frank D. Lucas who just happened to be chairman of the House Agriculture Committee received the most contributions from Monsanto. But he isn’t the only one whose wheels were being greased. OpenSecrets.org reports that Monsanto’s PAC has given $77,500 to 17 members of the House Agriculture committee or to their leadership PACS. Monsanto has actively lobbied bills ranging from the American Research and Competitiveness Act of 2011, which by the way would extend tax credits for companies doing research, to bills that would change the way the Department of Homeland Security handles security at chemical facilities. Of course, they have a right to lobby. You don’t think Congress would cut off an easy supply of money do you? But lobbying has a tremendous impact on the lives and health of every American and the environment. It directly impacts the food you end up with on your plate and whether or not you’re allowed to know what’s in the foot that is on your plate. Monsanto and other biotech companies involved with genetically engineered seeds are fighting tooth and nail to prevent labeling of their products, knowing full well that such a label has the potential to destroy their business. Only last year Monsanto’s money resulted in the Dept. of Agriculture deregulation of genetically engineered alfalfa. It probably didn’t hurt that House committee on Agriculture chairman Frank Lucas, R-OK, who led the charge to press the USDA to fully deregulate the alfalfa received $11,000 to his campaign fund from Monsanto. 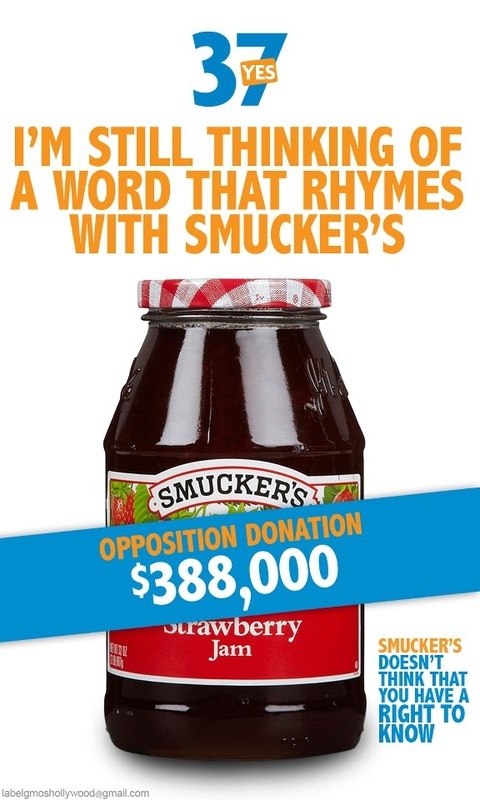 Lucas has more than benefited to the tune of $1,247,844 from the agribusiness industry during his political career. Since 1999, the top 50 companies holding agricultural or food patents have spent more than $572 million in campaign contributions and lobbying efforts. Food and Biotechnology PACS made more than $22 million in congressional campaign contributions between 1999 and 2010, averaging about $2 million a year. More than $9 million, or 42%, went to members of committees that oversee the biotechnology industry. Monsanto’s political influence isn’t confined to the U.S. Obama in a recent effort to “end hunger in Africa” drafted some of the world’s largest food and finance companies, including Monsanto, to invest in projects such as seed development, and fertilizers and building silos for storage. What a not so funny joke on the African Continent. 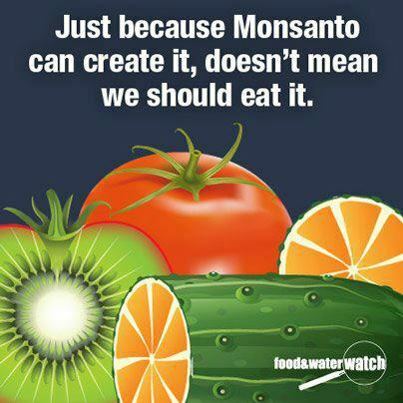 Don’t forget that Monsanto owns the patents to their genetically engineered seed. While some other donor countries are insisting that their share of the effort be spent on traditional food handouts instead of the genetically engineered seed it is hard to ignore the fact that genetically engineered seed and tradition seed can not coexist. With African farmers having to repurchase seeds each year from Monsanto, let’s hope this partnership ends up better than Brazil, although Brazil did win their suit against Monsanto. 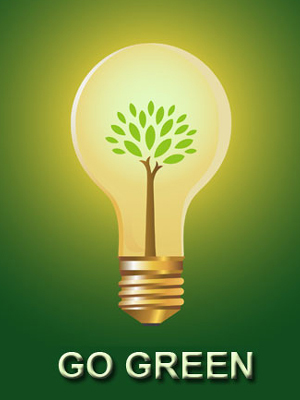 The Gates Foundation has also donated hundreds of millions to the Alliance for a Green Revolution in Africa (AGRA). Through this alliance, Monsanto and other biotech companies, along with the Gates Foundation have been promoting genetically engineered crops as the “answer” to Africa’s hunger problem. The Gates foundation hired Robert Horsch in 2006 to oversee the project. Horsch was a Monsanto executive for 25 years. Of course the fact that Bill Gates purchased 500,000 shares of Monsanto stock in 2010 might explain his enthusiasm for GE seed as a means to end hunger in Africa. It is imperative for our health that the U.S. require GE labeling but, as long as Monsanto owns most of the federal government, that will never happen. 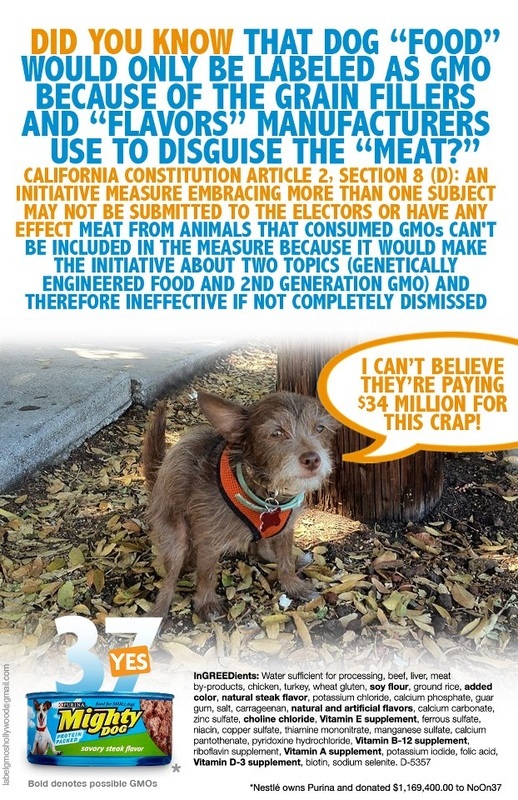 California is bucking the system by their 2012 ballot initiative to require GE foods sold in California to be labeled and already it’s paying off in a big way. Earlier this year, both Coca-Cola and PepsiCo announced that they are changing the way they make the caramel coloring used in their sodas as a result of California’s law that mandates drinks containing a certain level of carcinogens bear a cancer warning label. The companies said “the changes will be expanded nationally to streamline their manufacturing processes.” Didn’t know you’d been drinking carcinogens did you? If other states would follow California’s lead, but require all foods sold within the state be labeled, we would win this war! It was upsetting while working as a dietitian at WIC (Women, Infants, and Children) knowing we were passing out free Monsanto GMO baby formula. Many mothers had babies with stomach pains, throwing up, and digestive problems. Having that government contract to provide all that formula made Monsanto billions. Mothers should have a voucher for a certain amount of money for any formula so they can choose organic/non GMO even if they get less they may want to supplement with breastmilk. Would be fair to all companies. As a dietitian that understood what those ingredients on the label really stood for, could never recommend these to patients. It was just not right. There went my chances of making big money in the pharmaceutical industry selling their products or my hospital career. That's OK, reaching consumers on Smart Health Talk Radio Show is something that is always a challenge and reward.